Volunteer facilitators present quality PLT programs across Minnesota. 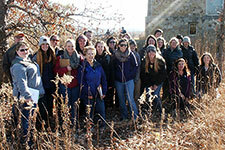 Have an interest and experience in natural resource education. to incorporate environmental education in their classrooms. Attend a PLT educator workshop. Indicate you are interested in becoming a facilitator. Complete the facilitator application. Due July 17, 2019. Plan and conduct (or help conduct) at least one workshop every two years. Connect other educators with environmental education. Promote PLT programs in your area. Get training and techniques on how to conduct more effective workshops. Receive additional free resources and training opportunities. Receive access to free and low-cost teaching materials for check-out and use. Excellent reference and experience for your career and resume.